They call it Orange Fury, and it's here for National Ice Cream Day. 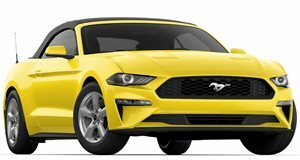 The refreshed 2018 Ford Mustang will be in dealerships soon, but in the meantime, Ford has team up with LA-based Coolhaus Ice Cream to launch a special ice cream sandwich. Introducing Orange Fury, Ford’s way of celebrating not only its latest pony car, but also National Ice Cream Day. 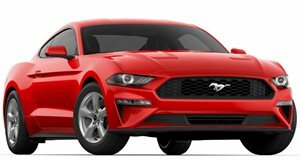 This color is inspired by the new Orange Fury exterior paint available on the ’18 Mustang. The zesty orange ice cream itself is sandwiched "between two Vanilla Whoopies, covered in orange icing and an edible wrapper made from potato wafer paper with edible ink." Ford worked with Coolhaus product developers to "capture the essence...of the eye-popping new (Mustang) color." The new ice cream sandwich already debuted last Friday at Coolhaus’ flagship store in LA, as well as other at locations in New York City, courtesy of Coolhaus ice cream trucks with unique Mustang decals. "I’ve always been a fan of the Mustang, and was super excited when they came to us with such a special project," Coolhaus CEO & Founder Natasha Case said. "We thrive on helping our customers realize their vision and love to help create that special, one-of-a-kind experience – one that really makes an impact."